Canoeists, kayakers, outdoor enthusiasts and others who take advantage of Alabama’s bounty of beautiful rivers and waterways will find their access to Alabama’s longest free-flowing and most biologically diverse river will soon improve thanks to a collaborative effort. The University of Alabama Center for Economic Development, or UACED, along with its program partners at the Cahaba River Society, The Nature Conservancy of Alabama, the Freshwater Land Trust and the Cahaba Riverkeeper, announced the official start of the Cahaba Blueway, a 200 mile-long “water trail” through the heart of Alabama. Flowing from Trussville, just northeast of Birmingham, to Old Cahawba Archaeological Park in Dallas County, the Cahaba River is among the most biologically diverse rivers in North America and is an outstanding natural asset that has been underutilized for nature-based recreation and ecotourism, according to the partnership. UACED and its partners have developed the Cahaba Blueway program to enhance public awareness of the river as a recreational destination, to make available the information needed for safe navigation on the river and to facilitate the development of access infrastructure to make getting on and off the water with a canoe or kayak safer and easier. 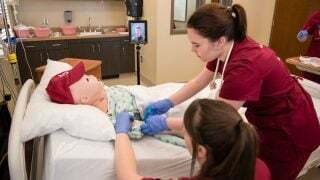 UACED is a community outreach arm of the University of Alabama, housed within the Culverhouse College of Business. Through the assistance of the National Park Service’s Rivers, Trails and Conservation Assistance Program, and with input from communities along the river, the Cahaba Blueway partners have created guideline documents for signs and access infrastructure development. They are encouraging local governments and other partners to use the guidelines as they plan and build their own river access projects. Of the 31 locations along the river and two tributaries where the public has access, 15 have the infrastructure needed to become officially designated “Cahaba Blueway” sites as part of the Blueway’s unveiling later this month. With the guidelines as a reference, the program intends to facilitate the development of improvements at the remainder of the sites in coming years. “It is important to have safe, environmentally sustainable and durable access infrastructure along the Cahaba so that the public can experience and enjoy the river while we continue to protect this fragile and important resource,” said Brian Rushing, program coordinator. Program partners have developed a website at cahabablueway.org where people can obtain information to plan a paddling trip on the river. The site features an interactive map with information about each access point and river section, paddling and river safety information and links to local paddling outfitters and retailers as well as local hospitality and tourism information resources. 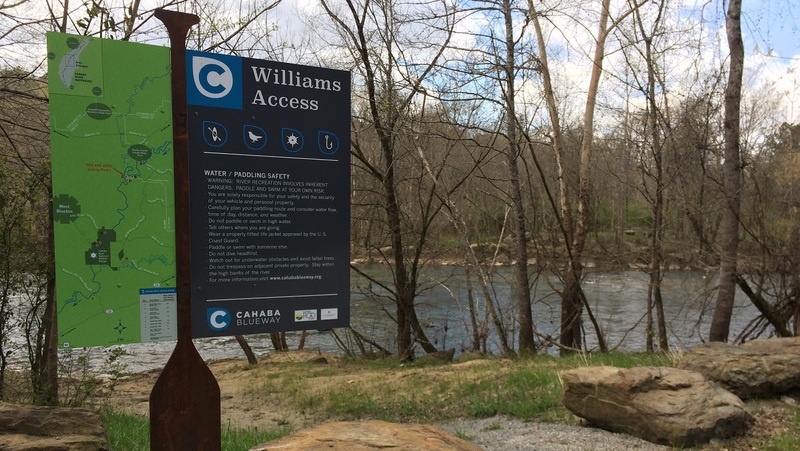 Cahaba Blueway access point dedications will take place later this month in Trussville, Irondale, Mountain Brook and Helena, as well as in Bibb, Perry and Dallas counties. More information about those events will be made available through the Cahaba Blueway’s FaceBook page or by calling Rushing at 205-915-5402.